As I got older, my desire to move away to university continued and I eventually decided that I wanted to study medicine. But at the age of 15, my health started to decline pretty rapidly, and I ended up having to drop out of school and have a home tutor. 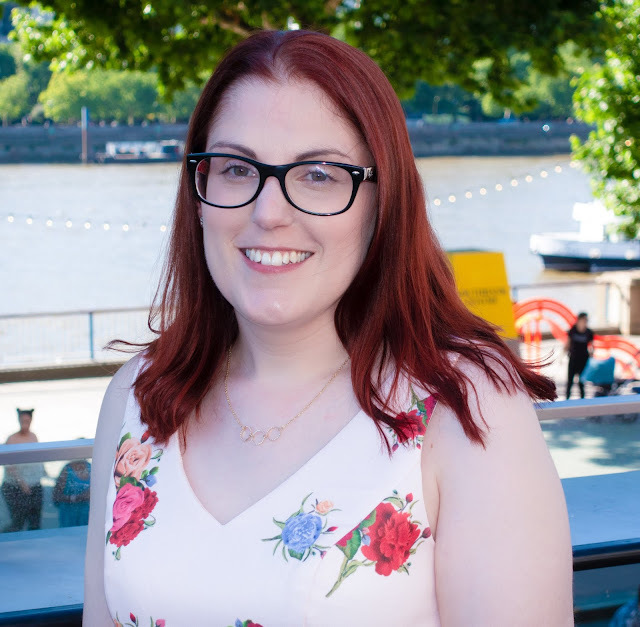 I left Secondary School with seven GCSE’s and, after a year out, I went back to Sixth Form to study for a CACHE Child Development qualification. I soon came to the sad realisation that I simply wasn’t well enough to study to become a doctor, so instead decided to work towards becoming a Play Therapist. I was still determined to do what all my friends were doing and go away to university, even if I was a year behind them due to having to take a year out to be in hospital. So while I was at Sixth Form, I started looking at possible options for courses and universities, knowing that I needed some sort of child development qualification. I didn’t really set myself any limits with regards to which universities I was going to look at. 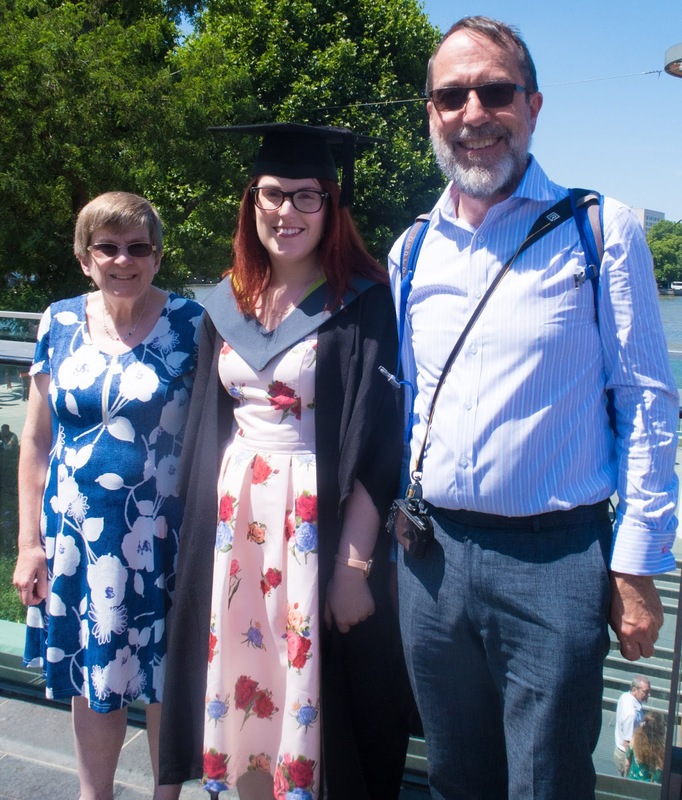 My Dad and I travelled across the country attending various open days – from Northumbria and Leeds to Plymouth and Bristol – we really did cover them all! Despite absolutely loving some of the institutions up North, in the end I decided to make Portsmouth University my first choice for studying Childhood and Youth Studies. I wanted to be near enough to home that if I needed my parents or wasn’t well, I wasn’t completely out of reach. September came and my family and I headed down to Portsmouth to settle me in to my new accommodation. The first couple of months were great! I met lots of new friends, was doing well in my studies, became a Course Rep, was enjoying the nightlife and joined some societies. But as time went on, I found I was enjoying the course less and less, hated where I was living and my health was getting progressively worse. Coming home for Christmas, and then having to go back to Portsmouth again, made me realise how unhappy and unwell I had become. So, in the February after I started my degree, I decided to call it a day and left Portsmouth for the last time. I felt like a complete failure to be honest. I hadn’t even managed a year of my degree and was so gutted that I hadn’t coped living away from home on my own. All my friends were doing so well on their courses and were having a whale of a time, and I just felt like I’d disappointed everyone around me. I was also terrified about my future and what on earth I should do next. I still wanted to work in a medical setting, probably with children and young people, but couldn’t see how I would ever get there if I couldn’t even get a degree. After taking some time out to try and get my health a bit more stable, I started looking into alternative ways to get qualifications. And that was when my parents suggested I look into The Open University. Up until then, I didn’t know an awful lot about it, but after doing some research I found that I could study for a Psychology degree, part-time, from the comfort of my own home. It seemed to be the perfect option, as it also allowed me some time to get hands-on experience working with children: an essential addition to my CV. After applying for a few local jobs in nurseries and pre-schools, I was given a part-time job at my old Secondary School, working as a Learning Support Assistant. I was pretty terrified about working with teenagers if I’m completely honest, but it didn’t take me long to start enjoying it. Despite it being hard work, I had a great five years there and it really complemented the studying I was doing. 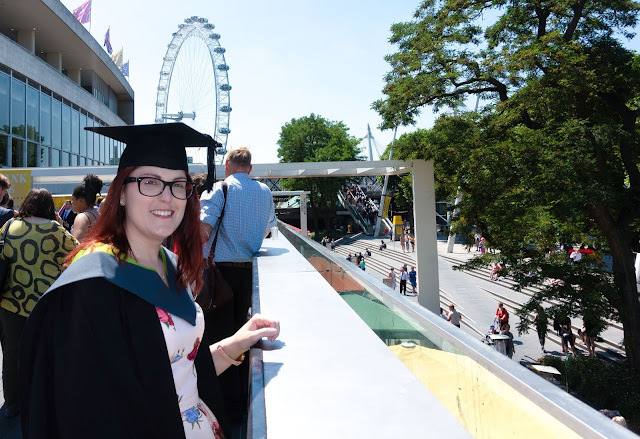 Studying with The Open University was a completely new experience, although having to work from home during my GCSE’s did give me some preparation for it. I had to be incredibly self-disciplined and set aside at least two days a week purely for doing my work. I tried to attend tutorials when I could, as it could get pretty lonely doing everything on my own and it was nice to make some course friends along the way. Things were going relatively well until 2012, when my health decided to throw another curve ball. I declined pretty rapidly although I was desperately trying to cling on to my studies so I could complete my degree. But it got to a point where I physically just couldn’t keep up or attend the summer school that was needed as part of the qualification. So I made the difficult decision to put my studies on hold, yet again, while I focused on my health. I felt pretty awful, as I just felt like I was failing for a second time, but my parents kept reminding me that I could pick up my course again once my health was more stable (which is the good thing about The OU – within reason you can take as long as you need to finish the modules). 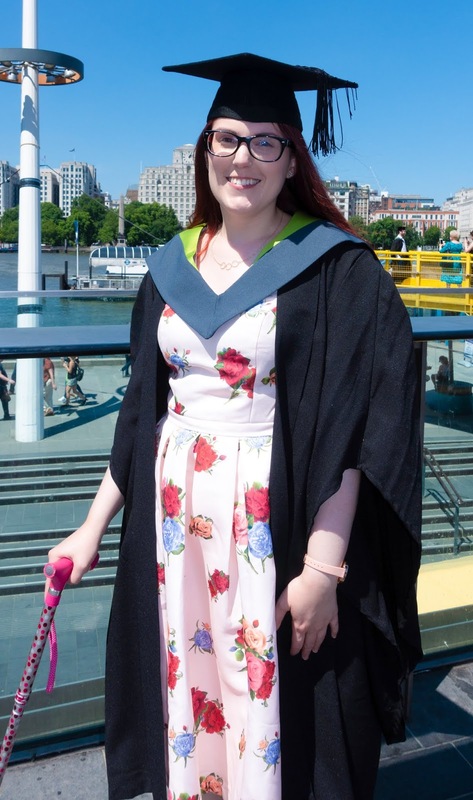 My health problems were a lot more complex than we originally realised, and I ended up having to spend a lot of time in hospital and trying to ‘recover.’ After two or so years of just focusing on my health, I finally felt ready to think about getting a degree again. By this point, I had had a lot of time to think about my options, and had decided that the Psychology course with the OU just wasn’t for me any more. I was still so desperate to be a doctor, and was finding it hard to accept that I couldn’t do it. I spoke to a few people who asked me what it was about being a doctor that appealed to me, and that I should look at those qualities and see what other professions might meet them. For me, I liked the idea of working in the medical field – I find the science behind it interesting, but I also really like the idea of working with people. So I began to look at other careers in the medical field, and became interested in Occupational Therapy. 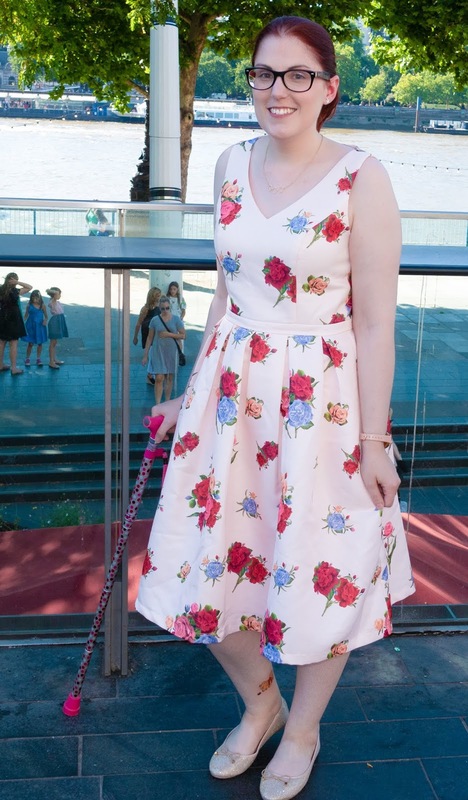 I did some work experience with a local OT and really loved it, so decided that would be my new focus. To become an OT, I would obviously need a degree, but to get on that degree course I would need A Levels in Biology, Chemistry and/or Psychology. I had none of these, so decided to spend a year at a local college doing an Access to Higher Education Diploma with Human Biology, Chemistry, Psychology and Sociology. It was a lot harder than I’d anticipated but I also really enjoyed studying again. Whilst I was there, I started to go to open days at local universities, but the more open days I went to, the more I started to realise that my health just wasn’t up to taking on such an intensive course. 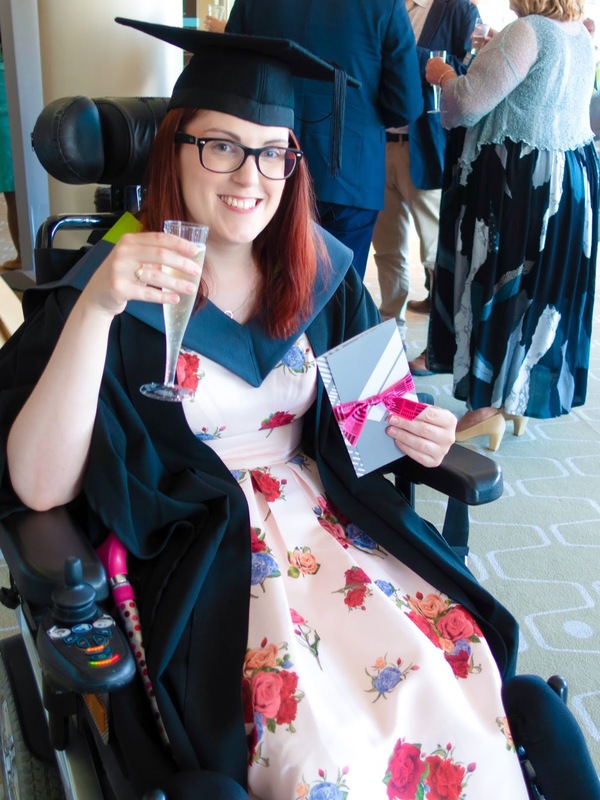 I’d struggled enough doing my Access course and my health had really suffered – I just couldn’t keep putting my body through that. Somehow, with the help of my parents, friends and tutors, I managed to get through that year and come out with good qualifications in all subjects. But I had also had to make the heart breaking decision to withdraw my application to study Occupational Therapy. I felt at a complete loss – my dreams of working in the medical field had been completely shattered. Some people might say that I gave up too quickly and that I should have pushed through my health problems and given OT or medicine a try. But I knew in my heart of hearts that I would only end up damaging my physical and mental health further by doing that. I knew that I needed to start again. When you come to the realisation that everything you’ve spent your life working for is wrong, it can feel incredibly difficult to find the strength to carry on. As far as I was concerned, the only thing I had been put on this planet for was to be a doctor. The fact I couldn’t do that, to me, meant there was no point in carrying on. I hit a real low for quite a while – not knowing what I was going to do with my life and wondering if I should just give up now. I desperately still loved the idea of being able to go to university and really didn’t want all my hard work to be in vain. But what on earth was I going to do? I hated the idea of having to settle for second best. I thought about training as a medical secretary, about working in a pharmacy or even looking into Play Therapy again. But none of these were things I actually wanted to do, and I knew if I went down one of these paths I would just feel like I was constantly pining after something I couldn’t have. One day, my Dad asked me if I had ever considered doing a degree in Journalism. I must have given him a bit of a strange look, and asked him “What on earth do I know about journalism? !” His reply surprised me a bit when he said: “Loads! You’ve been doing it already for a couple of years!” I didn’t understand what he meant until he brought up this blog, which I had been updating regularly for around two years. It hadn’t even crossed my mind that it was journalism – I thought I was just rambling on my little corner of the Internet (which, to be fair, I am! But it’s still journalism!) This conversation set the cogs in my brain turning, and I began to do some research into local universities that offered degrees in journalism. The more I read, the more things started to feel like they were falling into place. With my two experiences of university so far, I felt like I had learnt quite a lot about what works best for me. I knew I wanted to go to an actual university, because I wanted the social interaction. But I also knew that I needed to live at home for the sake of my health. Two institutions came up as I searched – the college I was already studying at, and the University for the Creative Arts in Farnham. I soon found that the course at the college wasn’t actually what I was looking for, but I went to speak to the Course Leader at UCA and came away feeling like I had finally found the right path. 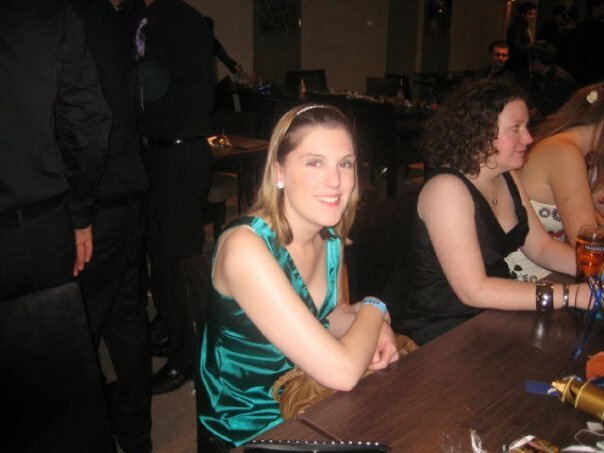 However, in typical Jenny style, a week or so before I was due to start at Farnham, I had a massive wobble. I told my parents that I couldn’t study journalism – I was desperate to do something medical – and that I wanted to pull out of the course. I’m so thankful that they talked me out of it and told me to at least give it a go. 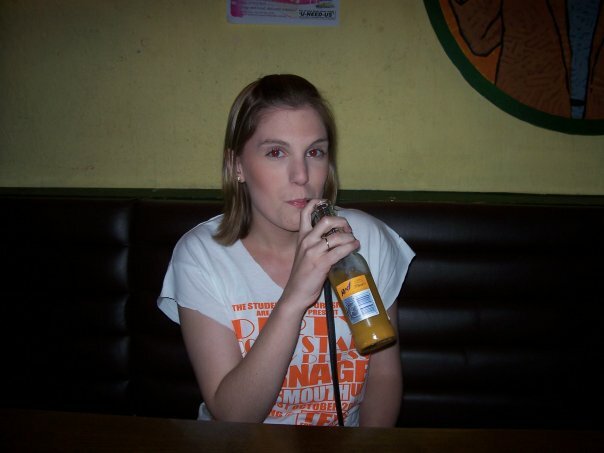 I remember my first day at UCA – everyone else was a lot younger than me (yay for being a mature student!) and I was convinced I wouldn’t fit in and that I would hate the course. I really hadn’t gone into it with an open mind and was just waiting for everything to fail yet again. But gradually, over a few weeks, things began to change. 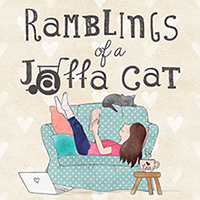 I realised I was actually enjoying the course – finding things I thought I would hate fun and actually enjoying being able to write and produce my own content in a variety of styles. I was also getting to know the other people in my group, and finding they were accepting me for who I was – my age and disability didn’t seem to matter. Our first Christmas break came, and for the first time in as long as I could remember, I was actually excited to get back to university in the New Year! 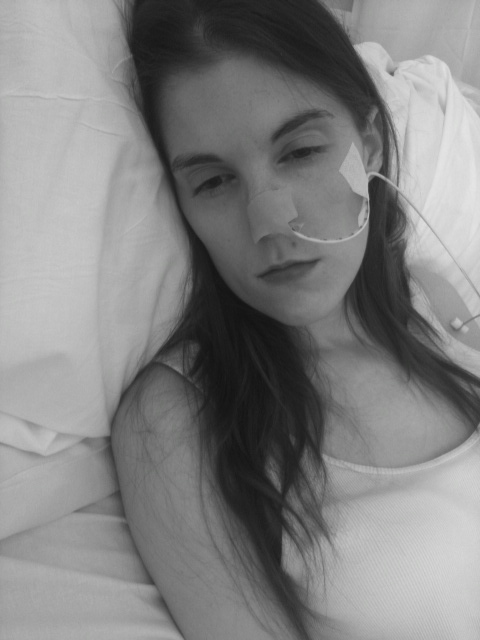 Don’t get me wrong – over the last three years I’ve definitely had times when I’ve wanted to quit, when my health has got so bad I’ve struggled to carry on and have wondered if I’ve made the right decision. But not once have I felt like I’ve settled for second best, and that’s what I was most worried about. Instead, I just feel like I’ve found an equally good but different path to go down. Sure, I still have that wish of wanting to be a doctor, but it doesn’t make me feel so sad any more. I feel like I have something I love just as much to take its place – something I can work around my health problems but not something I feel I’ve had to compromise on. 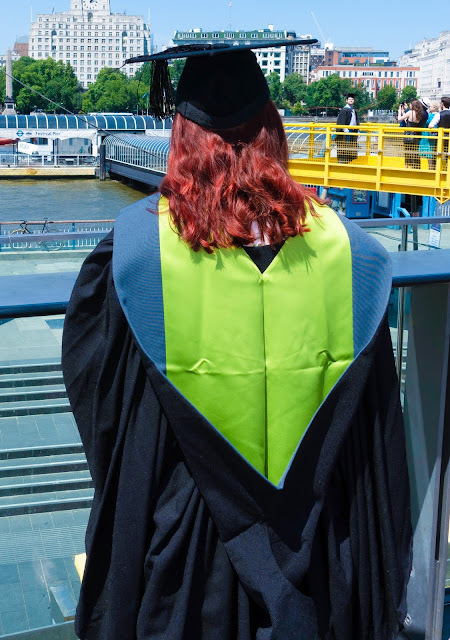 So why do I think that, after ten long years, I’ve finally been able to complete a university course and come out with a degree? I think it’s probably a whole mixture of reasons really. Firstly, I found a degree topic that I have actually enjoyed and that has kept my interest for three years. I also worked out that living at home worked best for me, and I chose the right university for my needs. Classes were small, so I got to know my course mates and lecturers really well (and they got to know me and understand my needs). And most importantly, I was able to ask for help when I needed it. 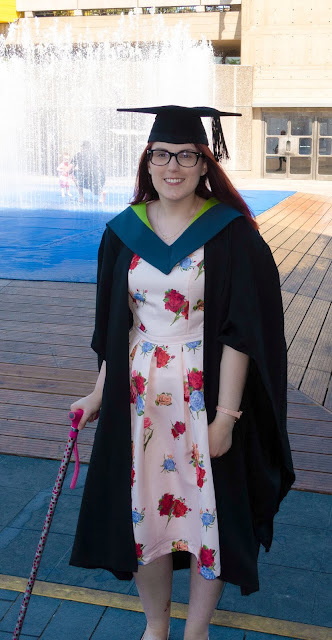 I don’t want to go into all the support I received from the university too much, as I might do a separate post about Disabled Students Allowance. 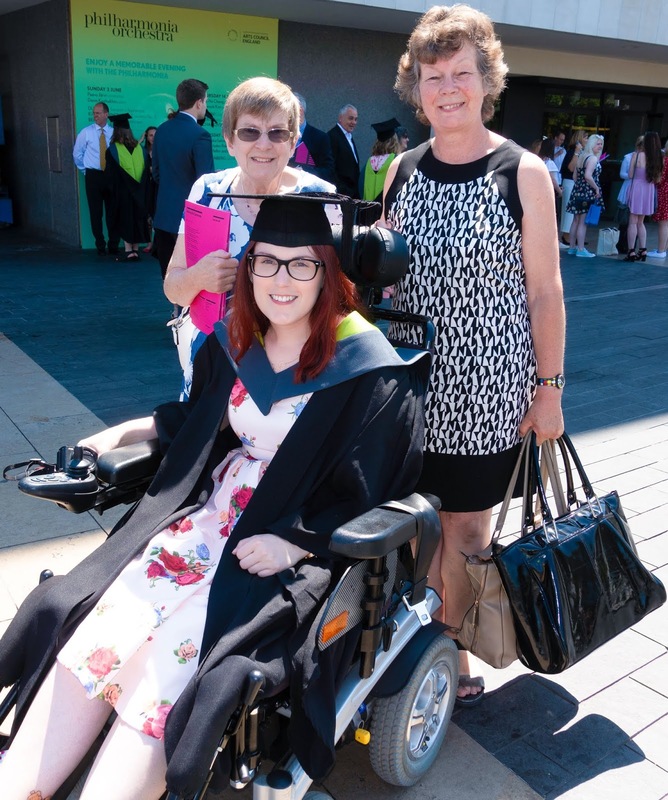 But I had a great support worker and a fantastic mentor, who have definitely made all the difference to my time at university. Sitting in The Royal Festival Hall a few weeks ago in my graduation gown and hat, waiting to collect my certificate confirming I had received a First Class BA (Hons) in Journalism, felt incredibly surreal. I had honestly reached the point where I thought I would never get that degree I wanted so badly. But I guess with this post I want to show that, with the right help and the right circumstances, it is possible. And that it doesn’t matter if it takes you three years or thirty years to achieve what you’ve been dreaming of – it’s still a massive achievement. I also hope it shows that you don’t have to have your whole life mapped out in front of you by the time you finish school. And you don’t have to do what all your friends are doing – instead, find your own path and take your own time. I know this is only really the start of my journey, and now I need to work out what I’m actually going to do with my degree. 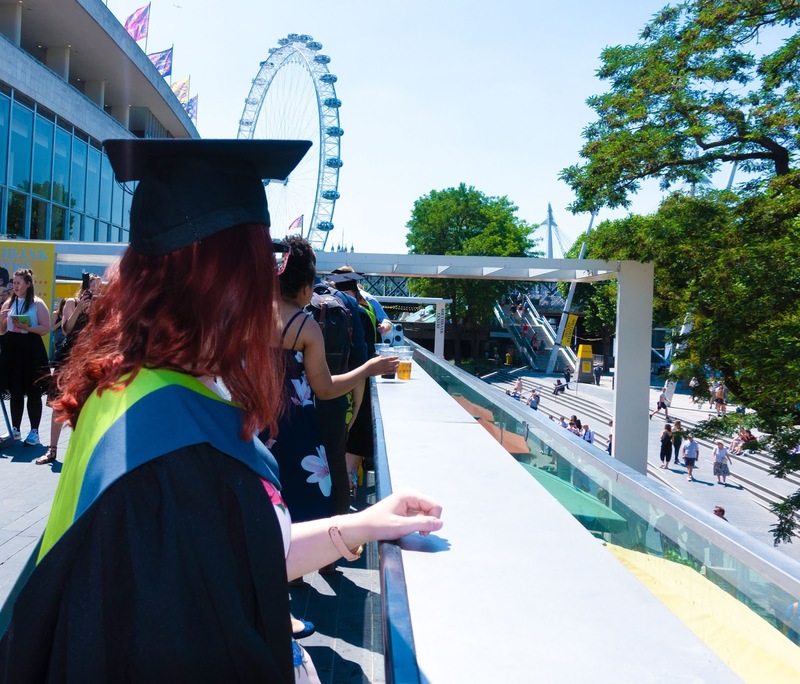 But finally graduating has given me a confidence boost that I can achieve what I set my mind to – it will just be in my own time. 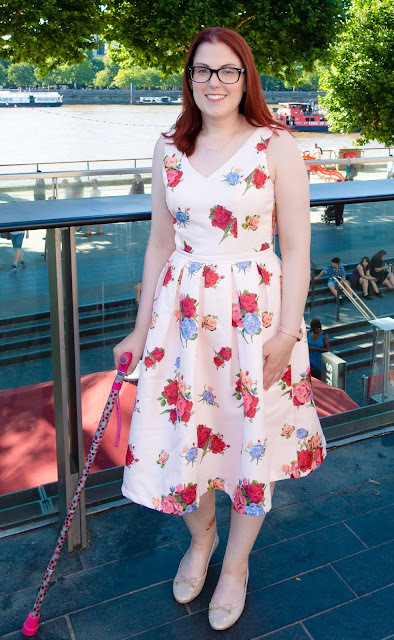 Have you been to university with a chronic illness, or do you have another goal that you’re trying to reach? Are there any other university related posts that you would be interested in reading?